Let's eat, Timmy. 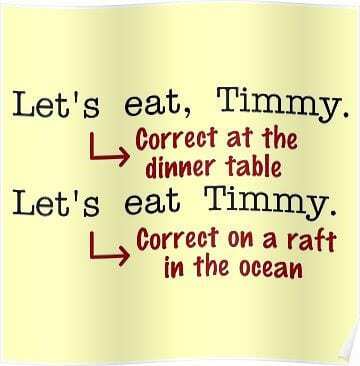 Let's eat Timmy. Punctuation saves lives.